Escape to a secluded romantic retreat in the rainforest within the Sunshine Coast Hinterland. These self contained eco lodges are luxurious with stunning features that makes this accommodation impossible to fault. Wake up to the sound of wildlife and zen out with complimentary aromatherapy beauty products. 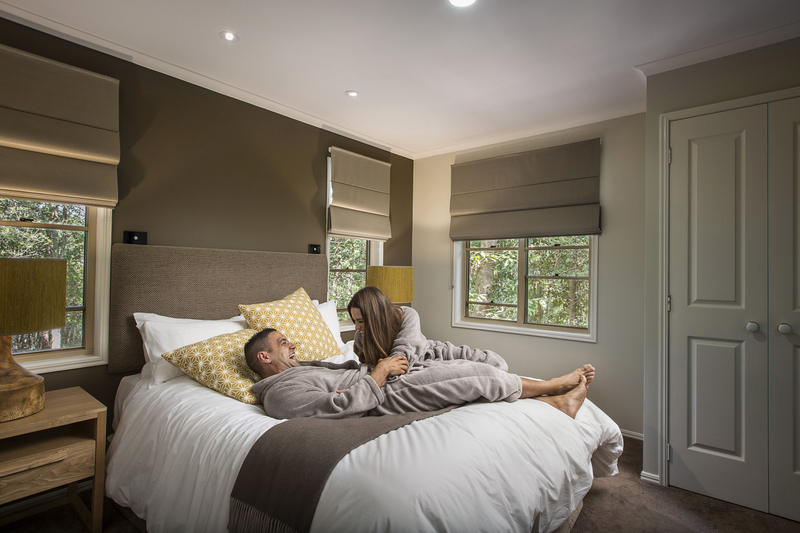 Escape to the Sunshine Coast Hinterland for the ultimate romantic sanctuary in Narrows Escape Rainforest retreat. These boutique eco villas are a great balance with recently refurbishments and set within the forest, with wildlife and serenity surrounding you. The location is close to the Montville restaurants, wineries and “The Great Walk” of the Sunshine Coast Hinterland. Plenty of time will want to be spent indoors with spa baths, warm bathrobes, dinner hampers, complimentary port and log fire to keep you feeling warm and fuzzy. For those looking for extra indulgence, guests can order an in house massage or partake in a local cheese tour at the nearby Maleny Cheese and Maleny Dairies. Refunds of cancellations within 21 days are subject to re-letting of cabin (some conditions apply). A cancellation fee of AUD$50 applies. 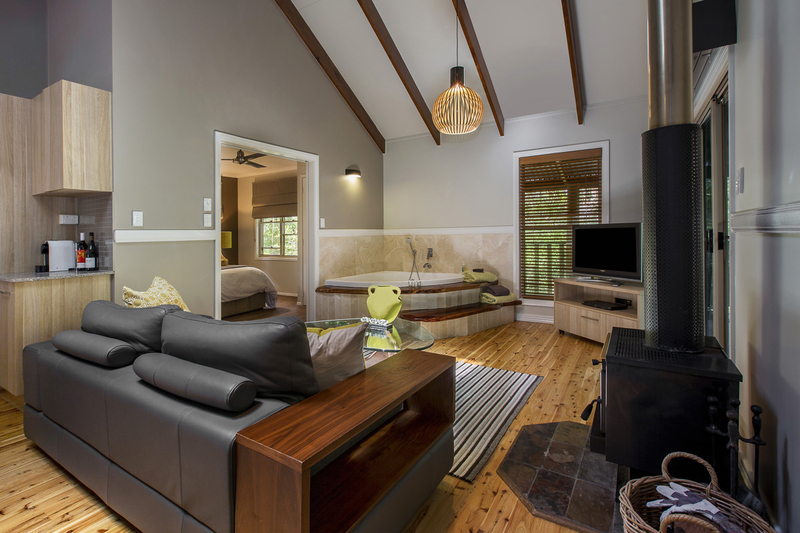 Enjoy a relaxed break in your private secluded cottage, listening to the rainforest from the luxury of your spa or in front of a cosy fireplace. Breakfast hamper included. Dine in your cottage or arrange a massage - call for more details. Rates are for 2 people. Extra adults $60.00. The room caters for a maximum of 3 adults. Enjoy a relaxed night listening to the sounds of the rainforest from the luxury of your spa or in front of a cosy fireplace. BREAKFAST HAMPER INCLUDED. Dine in your cottage - call for more details.